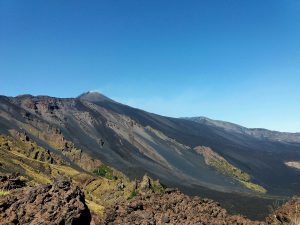 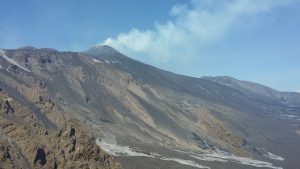 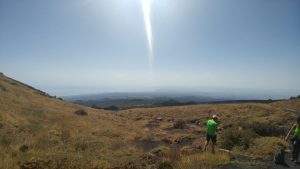 Easy Etna hiking trail leading to the viewpoint from which you can admire the breathtaking landscape of the Valley of the Ox (Valle del Bove). 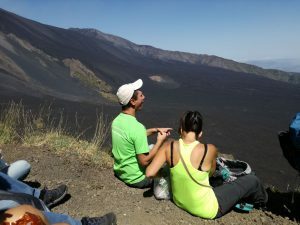 Start the tour hiking along the trail that is one of the most easily accessible routes leading to the viewpoint. 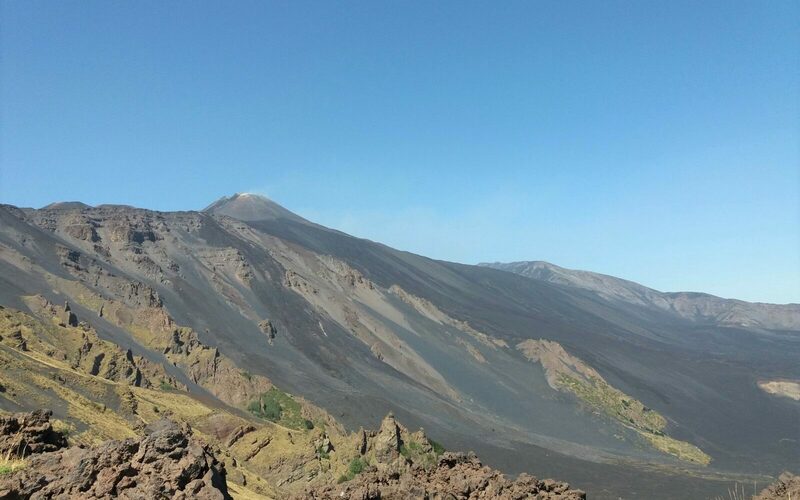 From here, you can admire the breathtaking landscape of the Valley of the Ox (Valle del Bove). 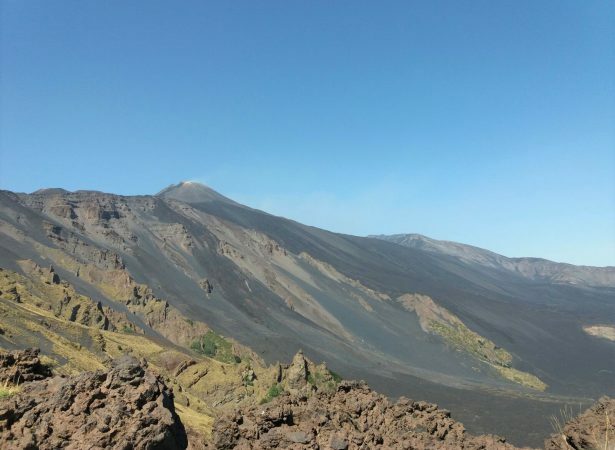 This beautiful hiking trail will allow you to see different faces of Mount Etna. 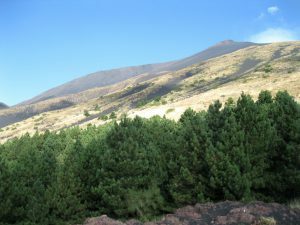 The beginning of the route leads us through a picturesque pine forest where you can enjoy forest bathing. 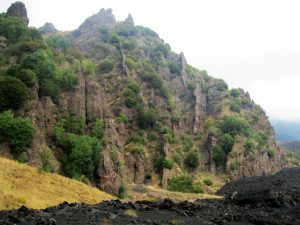 In the further part of the trail, the terrain becomes tougher. 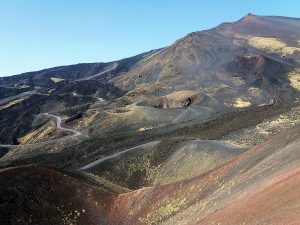 During the trip, we will encounter view points from which we will enjoy amazing landscape of the Ionian Coast, from Taormina to Catania. 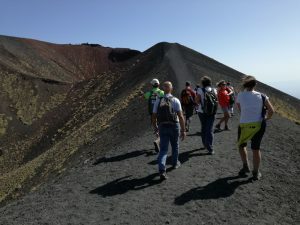 We will see different forms of solidified lava and get to know about endemic vegetation of Etna. 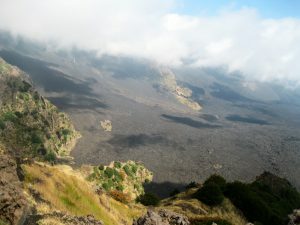 When you reach the top of the hill, you will see Tolkien’s landscapes rewarding all efforts of the hike. 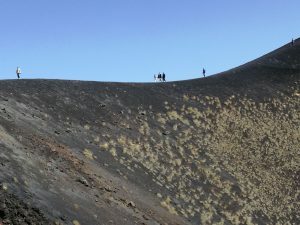 Here, you feel the power of the volcano. 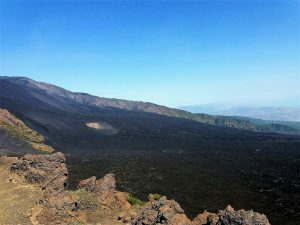 In front of you, spreads a huge valley filled with black lava and steep slopes covered with magnificent specific lava structures. 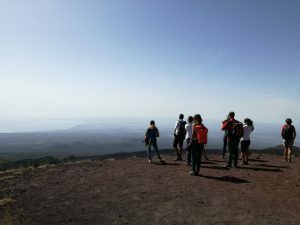 At the end of the tour, get transferred to Catania.